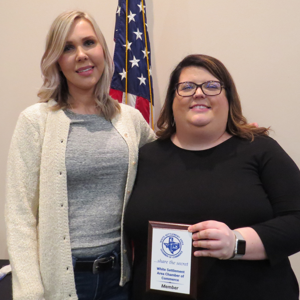 President JoAnna Kimbrell presented a membership plaque to World Finance Manager Jessica Walker at our March 2019 General Meeting. 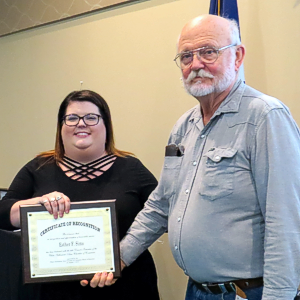 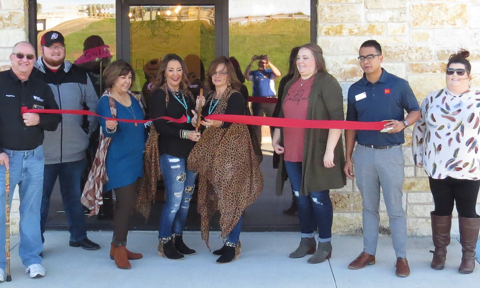 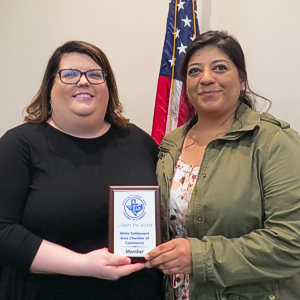 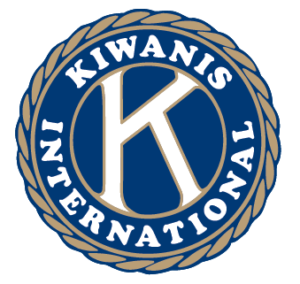 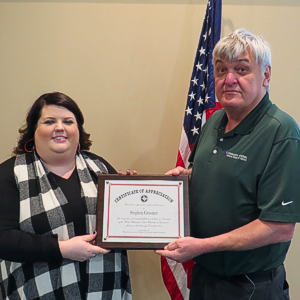 President JoAnna Kimbrell presented a membership plaque to Linda Espinoza, Manager, with Northwest Storage at our March 2019 General Meeting. 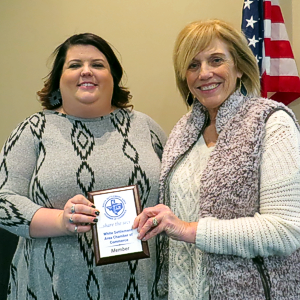 President JoAnna Kimbrell presented a membership plaque to Veronica Durnell, President of the White Settlement Retired School Employees Association at our November 2018 General Meeting. 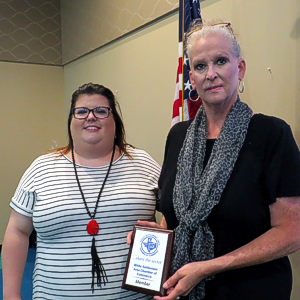 President JoAnna Kimbrell presented Carl Sims, husband of Esther F.
President JoAnna Kimbrell presented a membership plaque to Linda Franko, Director of Sales, with TownePlace Suites Fort Worth NW Lake Worth at our July 2018 General Meeting.